Only the talented survive in the National Basketball Association. It’s true. If you can cut it, other players will recognize it. And they’ll respect it. If you’re not quite good enough, you will be exposed. You will be made to look like a fool. Faking it in the NBA is impossible, which is why not everyone has what it takes to make a career out of pro ball — often times what helps individuals find a place in this league is a specific role. If you’re a big body and know how to control it, teams will usually give you a look. If you’re long with quick feet, organizations will see if they can use you as a perimeter defender. If you can knock down the three, you better believe clubs will find value in that. There’s one specialty, though, that may not always guarantee a player a spot in this league: Free throw shooting. Some players in the NBA check off enough of the boxes that their lack of free throw shooting prowess isn’t a major knock. As a result, you don’t necessarily have to be superb — or above average — from the charity to find success in the NBA. Still, it doesn’t mean that particular skill isn’t much appreciated. Those who succeed from the charity stripe are described as reliable, clutch, and as having ice in their veins. With the game on the line and the pressure mounting, the ability to step up to the free throw line and knock it down is an important way to gain trust from both your coaches and fellow teammates. And just as it is in all other areas of the sport, some basketball players were way more efficient than others. They have the free throw percentage to prove it. 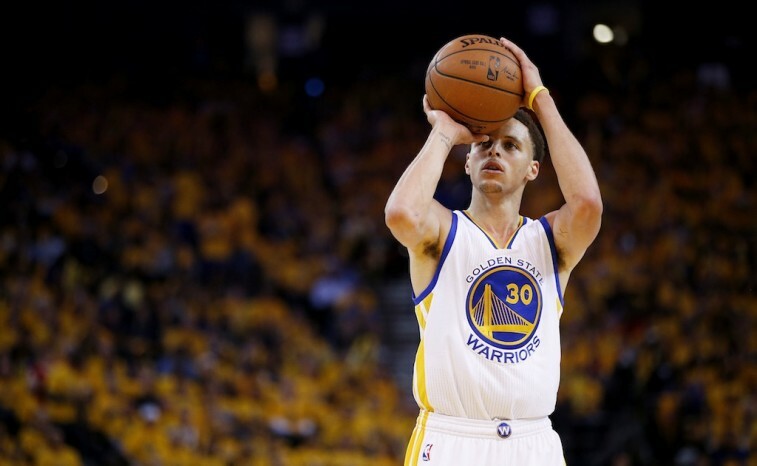 With that in mind, here’s a look at the five best free throw shooters in NBA history. 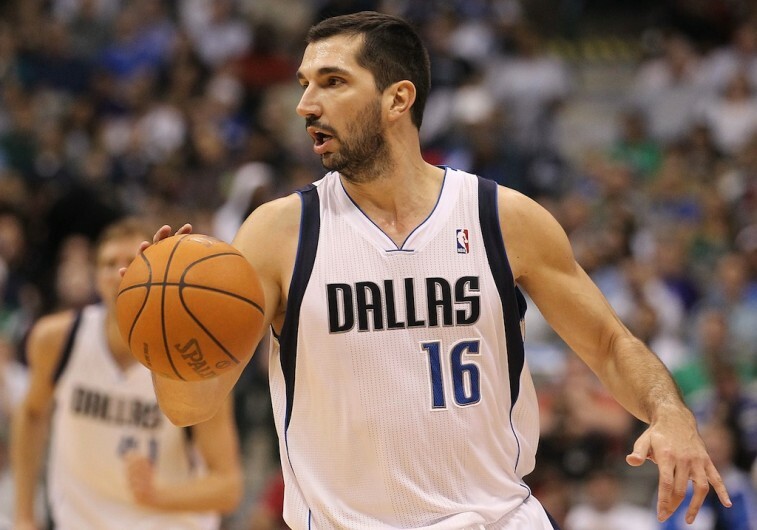 Drafted by the Sacramento Kings with the 14th overall pick in the 1996 NBA Draft, Peja Stojakovich spent the better part of his 13-year career striking fear in the hearts of opposing defenses with his sweet stroke from the outside. During his time on the NBA hardwood, the three-time All-Star connected on 40.1% of his threes — including a league-best 240 makes in 2003-2004 — and shot 45% from the field. But he was even more automatic from the free throw line. He led the NBA in free throw percentage in both the 2003-04 (92.7%) and 2007-08 (92.9%) seasons, and never shot below 81.6% in any single season. It’s that level of consistency that helped land him on this list. As of this writing, Rick Barry is the only player on this list to have been been inducted into the NBA Hall of Fame. While we’re sure that won’t always be the case, that doesn’t take away from Barry’s accomplishments whatsoever. Not only was The Miami Greyhound known for his scoring prowess — he averaged 24.8 for his career — but he was also recognized for his sensational shooting from the charity stripe; especially since he shot the ball underhanded. Considering led the league in free throw percentage seven times, we’re surprised more players didn’t adopt the granny style. Maybe then, they too, would shoot just under 90% for their careers. 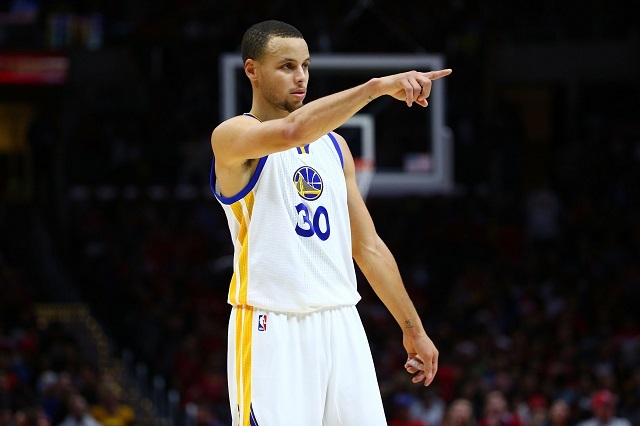 What else can you say about Stephen Curry? He’s an MVP, an NBA champion, and arguably the greatest shooter the game has ever seen. When the Chef is cooking, watch out. He doesn’t need much space to get off that pretty shot and his release is lightning quick. But don’t think for a moment that getting up in his grill will prevent him from making things happen. With his smooth handle, the Baby-Faced Assassin is more than capable of creating his own shot. Worse yet for defenders, if you send him to the free throw line, you’re pretty much gifting points to the Golden State Warriors. In his six seasons in the NBA, Curry has led the league in free throw percentage twice, and now sits will a career average of 90%. At just 27 years of age — with plenty of good years left — who knows how high he can climb. Mark Price may be attempting to drive around the defender in the above picture, but we wouldn’t be surprised if his true intention was to draw some contact. After all, if you sent this guy to the free throw line he was more than likely going to knock down some shots. In his 12-year career, Price led the NBA in free throw percentage three times, including the 1992-93 season when he made 289 out of 305 attempts. Just a measly 94.8%. Up until this past year, Price had been sitting pretty at the top of this list. It would’ve had to take a pretty special shooter to knock him off his perch. And that’s exactly what happened. 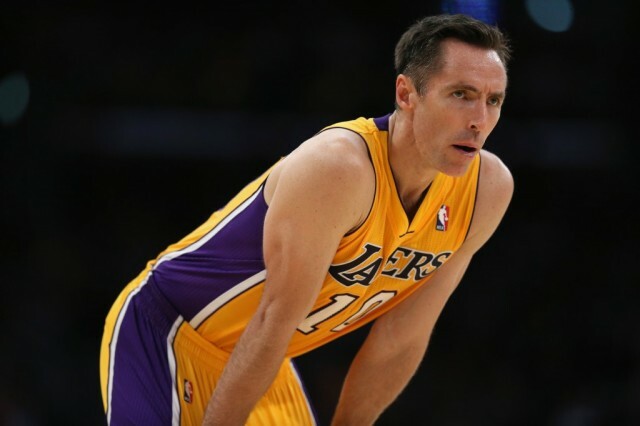 When Steve Nash decided to retire at the end of 2014-15 season, he had already cemented his legacy as one of the best points guards to ever handle the rock. After 19 seasons in the league, Nash finished third on the all-time career assists list (10,335), played in eight All-Star Games, and won two MVP awards. He was a wizard in the pick and roll, special on the fast break, and undeniably creative with the ball. And his shot was so pretty. So. Pretty. He shot 49.0% from the field, 42.8% from three-point range, and a ridiculous 90.43% from the free throw line. Who knows how long he’ll stay at the summit of the free-throw percentage mountain. But right now, it’s safe to say, that no one in the history of the NBA has done it better.